Recently I was looking through my nail polish collection and realised that I didn't have a single neon colour, so I decided I needed to buy some. I spend ages deciding which brand to get. At first I thought about the China Glaze neon collections, but they are super expensive, then I looked at Sinful Colors' Make Some Noise collection, the colours looked great and they were really cheap! (£12.99 for 8 polishes), so I brought them! These are the first Sinful Colors polishes that I have brought, and I was not disappointed! I was worried that there were a lot of pinks in this collection, and I don't use pink very often but I was happily surprised that each of the pinks are great and very different from one another. Although I love the name (for obvious reasons! 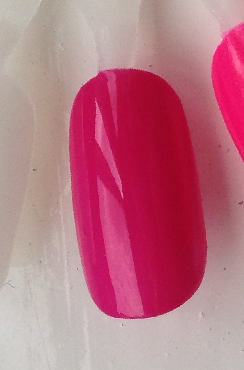 haha), this was the most disappointing colour for me, it is a nice colour, opaque in 2 coats and dries very glossy, but it is neon at all, it is just a deep pink colour. It is brighter than Boom Boom, but still isn't very neon. 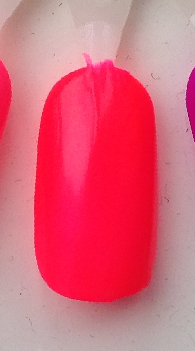 Although it is the only colour in the collection that has shimmer, which adds a very nice quality to the polish. 2 coats, glossy. 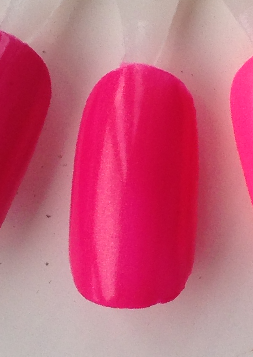 This pink is a VERY neon, bright highlighter pink! It took 3 coats to become opaque and was slightly streaky, but it is so bright, which is awesome! 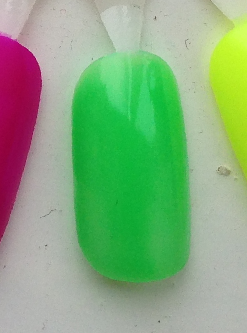 It dries matte (like most neon colours), but looks great with top coat on it! 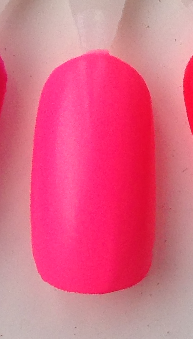 A darker pink than Fusion Neon, and slightly less bright, but still very neon. 3 coats, dries matte. This colour was a lovely surprise to me, I wasn't expecting to like the purple, but I love it! It's very bright, not as bright as a highlighter but it is such a beautiful colour. 2 coats, dries matte. Although it isn't highlighter bright, it is still quite bright. This colour is the most difficult to get opque, it is a very thin and translucent formula, the picture shoes 3 coats, and you can still see through the swatch nail. 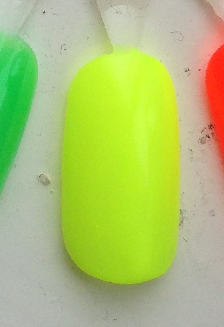 On nail you will be able to see the white line of your nail, but this can be fix by applying a coat of white polish to your nail first, then using the green over it. Dries glossy. VERY highlighter bright! This yellow is extremely neon. It's a beautiful colour, but can be a slight pain to apply, it took 3 coats to make it opaque, and can be quite streaky when dry, but I still love it. Dries matte. This is by far my favourite from the collection, I absolutely love the colour orange (second fave to turquoise), and this is seriously bright! Surprising, in my opinion this is the brightest of all the collection and one of the easiest to apply. I have absolutely no negative comments about this colour. 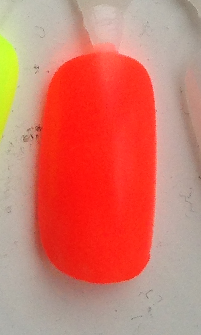 It is as bright as a highlighter, only needs 2 coats, not streaky, dries super fast, dries matte. A lovely bunch of colours, nice variety, most of them have very nice formulas making application easy. A great neon collection, and very cheap compared to similar polish by other brands. All the polishes dry really fast. Some of the colours could have been slightly more neon. but, I LOVE this collection, definitely worth buying if you are looking for a cheap, but good quality set of neon polishes. I brought this collection of all 8 polishes for £12.99 on Amazon.